On Saturday, July 13, the 3rd annual Byron Path Parade wound its merry way from the Byron Linear Tramway Park to Iona Park. 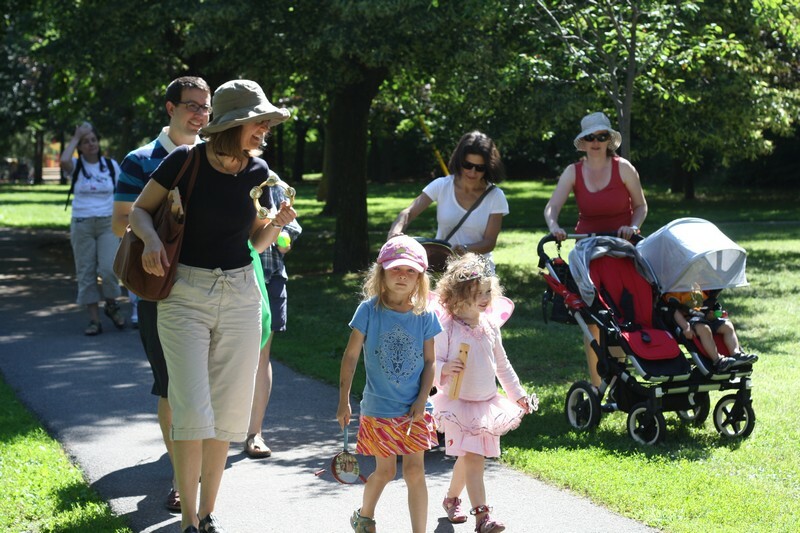 More than 50 people, most of whom were young families from the surrounding neighbourhoods, joined in. Strolling down their path. Anu Lindeman of Hilson Avenue walks beside her daughter Tea, 6 and 4-year-old Ellis Blythe. Photo by Anita Grace. The first parade in 2011 was in response to the convent site development between Richmond and Byron Avenues and the proposed cut-through of pathway and park. This year it was a celebration of the community that rallied to protect the park, but also just an excuse for kids to dress up and make some noise. 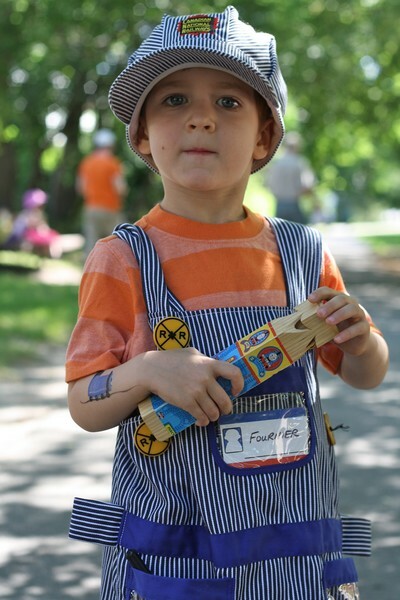 Children came dressed as fairies and super heroes – and a four-year-old train conductor (Foster Street’s Dylan Fournier) proudly led the way. 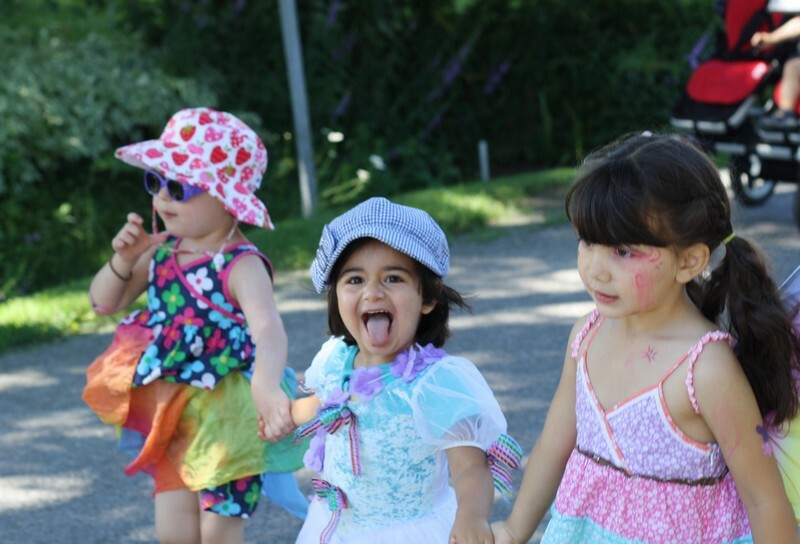 Three-year-old Nairi Hamboyan (centre) is happy parading with her friends Carys Halil, 3, and Miya Nagaraj, 4.